A local band is making great strides in Europe. 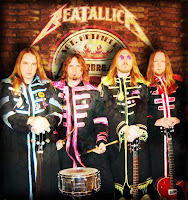 Beatallica, a combination of Metallica melodies and Beatles lyrics make for some interesting interpretations of two classical, but diametrically opposed styles. The bass player, Kliff McBurtney is a personal friend who deserves all the accolades that come with European tours, CD sales, and extra loving from his one-and-only groupie Emily. I have witnessed this melting of The Beatles and Metallica at Vnuk's. 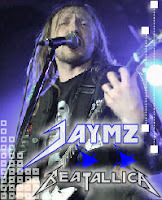 If they get back to Milwa ukee, get your arses down there and check out Beatallica.